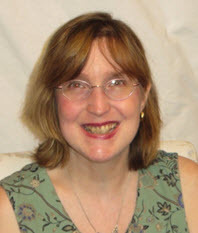 Songwriter and philosopher John Lennon said it best: “Life is what happens to you while you’re busy making other plans.” Such a random chain of events led to Henry and Zofia Zawieruszynski trading in their Polish mailing address for a home and business nestled in the American heartland. Being able to be so impulsive, so in­credibly daring about such an earth-shattering decision, is part of the Zawieruszynskis’ artistic demeanor. This is a married couple that has never played by traditional 9-to-5 rules. Instead, they have always listened to their inner creative drive, the voice of risk-taking and goal-grabbing. Back in Poland, Henry and Zofia met while working at a studio where they both designed and hand-painted decorative fabric. “From working side by side, we have worked together ever since,” Henry observes. Eventually in Poland, they opened their own interior-decorating business. They also kept their creative juices flowing by in­dulging in painting and sculpting. 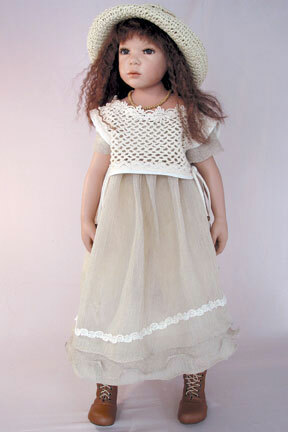 Perhaps as a harbinger for their future careers as doll artists, Zofia started to make wooden and cloth dolls as well. It was an expressive outlet she greatly enjoyed. “Here in America, in 1992, we made our first porcelain doll,” Zofia chronicles. 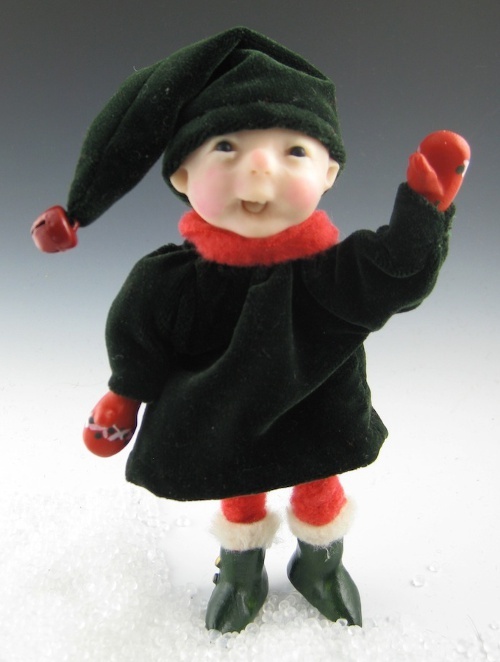 Having settled in the Midwest, where the couple admits, “we were used to rough winters in Poland but Minnesota’s is even longer,” they worked at improving their doll sculpting and their day-to-day communication skills. 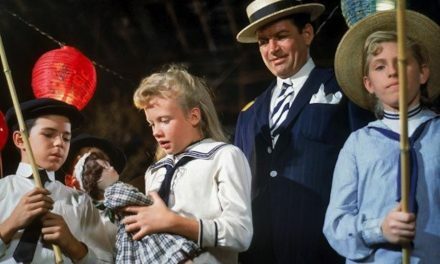 Bibb and The Doll House have hosted many shop appearances and signings by Henry and Zofia. Bibb numbers the couple among her friends. “I enjoy spending time with them, and I’ve had them to my home. We’ve been to eat many times and we’ve all had a good time. All our store’s customers just love it when the Zawieruszynskis come for a signing. They are so willing to please and to make each doll special. They honestly and sincerely want every collector to be happy with their dolls. I’ve seen more interest with new collectors this year than ever before,” Bibb elaborates. 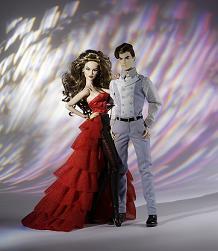 For the 2007 line of Zawieruszynski Original Dolls, the couple had intended to make two or three porcelain dolls. However, their vinyl production had gotten so busy and their time was so divided that at press time they only had one porcelain creation done. The pair finds themselves immersed in every aspect of their dolls, from the top of the head to the tip of the toe. Being able to juggle their home life, business life, personal life and artistic life is difficult. When it’s pointed out how chilly that must be for their “girls” in the cold Minnesota clime, the couple agrees and chuckles. “We experiment with many different fabric and ideas until we know we have created the outfit that is perfect for each doll,” Zofia explains. Who’s the Beauty, Who’s the Beast? 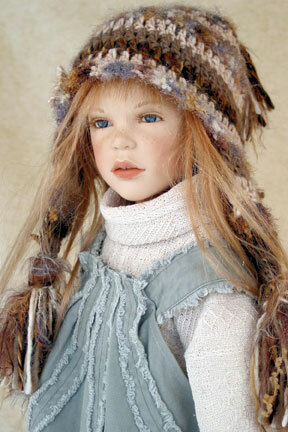 Fanciful Flurry: Elizabeth Cooper’s dolls are heart-melting little snowflakes!